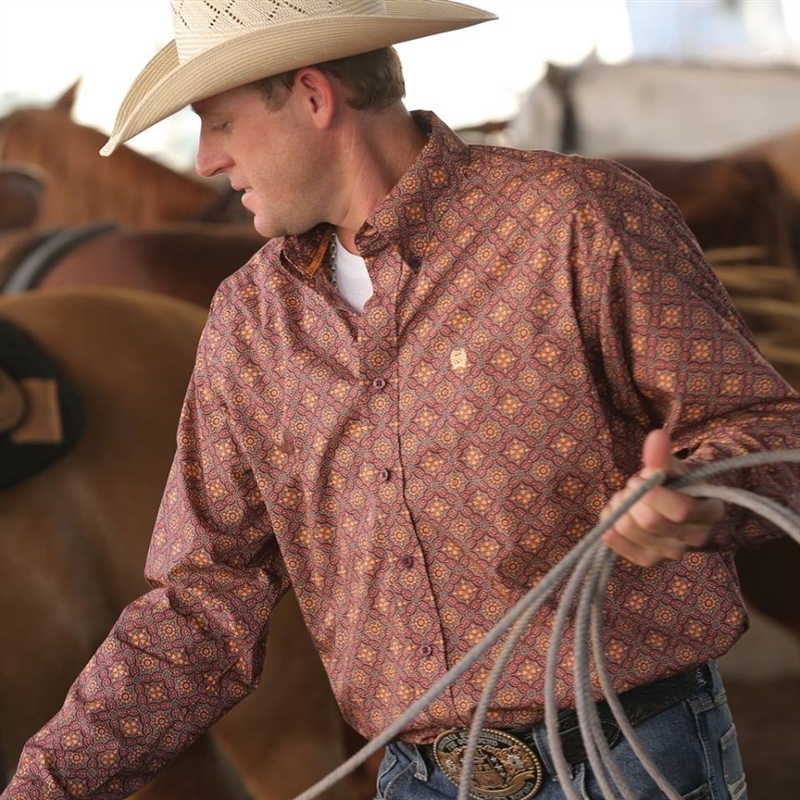 This decorative button-down puts a sharp spin on traditional western wear. Featuring a unique print pattern with orange, coral and violet detail, this clever combination of color and design makes for a very handsome long sleeve. Dyed to match buttons keep this seamless look up. Good for a laid-back or more formal get together, this good-looking shirt is a great addition to any cowboy’s closet. Classic Fit.